The last of the elevated tees on the golf course, the 24th is a 355m Par 4, with fairway bunkers that are in play of the tee. 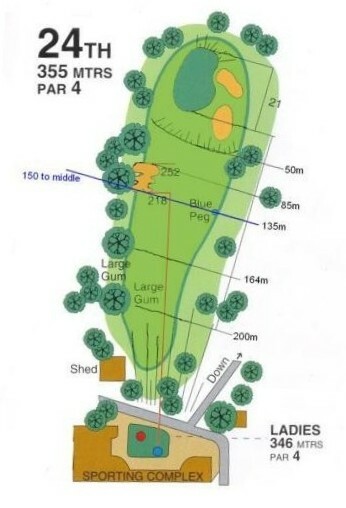 The tee shot needs to be in the fairway as the second shot is to the smallest green on the golf course. The green sloops considerably from front to back, to play under the flag is ideal. To miss the green long or left makes for a difficult up and down.